You can always contact us by using live chat support or Contact us page. If you have detail scope and specification of an application or Website you can directly contact us on info@iqlance.com One of our IT Consultant will revert back to you with as soon as they can. How Can I Get New Updates About Technology News? You can easily subscribe on our Blog page to get all latest technology updates or any New release. When Can We Contact Your IT Consultant? Our business days are Monday – Friday from 8:00 AM CST to 5:00 PM CST. We Want To Protect Our Idea And Pattern. Do You Sign NDA? 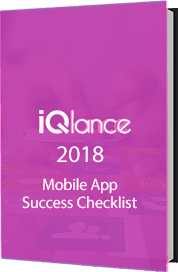 Team iQlance greatly respect confidentiality and guarantee that information about your idea, pattern or any data about your project will be secured. Hence to give you full assurance on security we sign on your NDA. Do You Provide Source Code At End Of The Project? We do respect all your investment and efforts. Hence after completion of project and getting approval from Account Manager we officially handover the Source code, IP rights and Project documents. Do You Work On Fixed Cost Model? Or Hourly? We do follow three different development models. We are completely flexible to choose or follow as per your requirement. For more info you can refer Development Engagement Model Page. What Kind Of Mobile Applications You Have Implemented? We have successfully implemented Fitness, Social Networking, Live Streaming, GPS ( Live Tracking), Security and many other domains. If I Give You A Reference Link, Will You Provide Estimation And Quote? Certainly, we can. Reference link of an application or website help us to analyze the structure of the system to outline development time line and quote. Accurate Project Plan can be designed after having detail discussion with our CTO. Do You Have QA (Quality Assurance) Team? Yes, we have experienced and professional Quality Assurance team who work with our Development team to make sure we release standard, secure and user-friendly system. I Want To Start The Project Soon. Can I Connect With You Over The Skype? I Want To Design A Website. How Long Will You Take? We love to build amazing product on which we can take proud. Hence, we do make sure we have understood your concept and idea. Design time varies based on requirement. However basic website design takes around 1 Week to complete along with Logo. How Long Will Take To Build Mobile Application? If you have already designed ready and clear specification/scope of an application then we can implement and deliver the application in average 1 to 2 Months of time. In some cases, if your application is already live and want us to do some changes on existing source code or design then it take less time to make a functional application. Do You Provide Maintenance Support After Completion Of An Application? Yes, we do provide the maintenance support after completion of the project. Time of maintenance vary based on the Project requirement. Do You Charge Anything To Upload Application On Store? Or To Live Website On Our Server? Team iQlance provides complementary support to live your application on stores or live your website on your server. Do You Do Game Development? Yes, we do have inhouse certified designer, artiest and developers in our Game Studio. We mainly work on Unity 3D, Unreal Engine, cocos2D. How Do You Execute The Project? Any Methodology? We follow standard process and methodology to make sure before we start work on your idea. We have right plan and approach to move forward. To execute the project, we follow Agile Methodology. However, we also have experienced to follow other development methodology as per your requirement. How Do You Manage The Project? Do You Follow Any Project Management Tool? Transparent communication is key to success. To maintain the quality of project and communication on top, we follow ASANA, Basecamp and Internal PMS. However, if have also used other Project Management System as per the requirement. I Like To Compatible With Different Devices. Can You Do That? Yes, you will get compatibility with all latest devices of iOS and Android. Can You Help Me To Build Application Like Uber? Sure, we can help you to build GPS based application. We have successfully delivered more than 15 Live Tracking Apps. I Want To Promote My Product. Do You Provide Any SEO, SMM And PPC Service? iQlance is a one stop solution for all your needs. We do make sure you get returns of investment from your product. Hence our certified marketing experts work very closely with you to outline marketing strategy and while the promotion we also allow you to track the progress, likes and rank of your application/website. You can always email us on info@iqlance.com if you have any additional question or query.